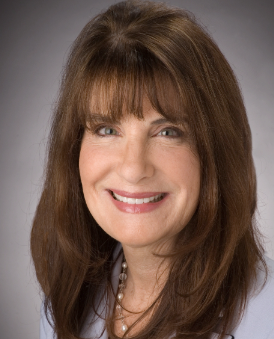 Francine Kaufman is a pediatric endocrinologist at Children’s Hospital, USC in Los Angeles, the Chief Medical Officer for Medtronics, a diabetes and obesity activist, and from where I sit, a woman in constant motion. Dr. Kaufman conducted this interview while at her treadmill desk. This is the third in my series on diabetes change leaders. Q: Your father was a physician, did that influence you to become a doctor? Francine Kaufman: My father was a physician, but he didn’t practice after WWII. Yet he was very encouraging of me becoming a physician and this was a time when there were few women in medicine. Maybe I felt a little like I was carrying on his dream. Q: Why did you specialize in diabetes? FK: My grandmother got type 2 diabetes when I was nine. She took insulin, and that was my introduction to medicine. I decided right away somebody had to defeat diabetes and why not me? Q: Given that you work with kids and families, is that dynamic different than treating an individual patient? FK: When I tell a parent that their child has diabetes, I launch that family on a new journey in life. They have to figure out what they need, what course that journey will take and they have to figure out where to place diabetes. It’s their journey, but I try to help navigate a course that’s a little easier for them. Working with a family that works well together is a beautiful thing. Everyone has their role, like a sibling who’s aware of hypoglycemia and can inform a parent or somebody else if they see their sibling show symptoms. When a child is nurtured and supported, like anyone really, and particularly anyone with diabetes, they do better. Unfortunately, there are also families where that support isn’t there. That’s when we try to mitigate any problems that arise early on. Q: In your book, “Diabesity: The Obesity-Diabetes Epidemic That Threatens America — And What We Must Do to Stop It,” you talk about ridding the world of obesity, particularly in children to prevent diabetes. How are we doing? FK: Not as bad as most people probably think. We’ve brought obesity out into the open. You’d be hard pressed to find somebody anywhere in the world who doesn’t know that obesity is an epidemic and leads to negative health consequences. Obesity is actually slowing in adults and has stabilized in children in the United States. FK: First, I worked with many incredible people and wonderful organizations. It was truly a team effort. Since schools are a closed environment where children don’t have access to their parent’s counsel, we need to make sure that schools are a healthy place and health-promoting. I thought the easiest way to do this was to first get rid of soda. Soda in schools popped up in a rather perverse way – they were put there exclusively to make money. I told the school board in L.A. that we must have all been asleep to let these machines go into our schools and sell products that only deteriorate children’s health. It seemed so perverse that everybody agreed. Q: What else has to change to combat the obesity epidemic? FK: Change has to come from all sectors. The public health sector and the medical sector have to tell me why I should eat an apple instead of a bag of Cheetos and the medical sector has to do a much better job at prevention. My biggest disappointment is with the health care sector. Hospitals, including the big medical groups, have not walked the walk; my own hospital still sells candy. We ended cigarettes in hospitals when I was an intern and people finally got it: Boy, cigarettes must really be bad for me if they won’t let me smoke them or buy them in a hospital. We’ve got to do the same with junk food. I can be up at a podium giving an obesity lecture and they’re serving chocolate covered doughnuts at the back of the room. Q: A year ago you left as Head of the Center for Diabetes, Endocrinology and Metabolism at Children’s Hospital Los Angeles and took a key executive role, Chief Medical Officer, with Medtronic. Why? FK: I’m still very involved at Children’s Hospital and have a clinic there, but I came to Medtronic to work on closing the loop, creating an artificial pancreas that automatically measures glucose and delivers the appropriate amount of insulin. I saw an opportunity where I could help frame how that would occur within Medtronic. Q: How is it going and what do you do? FK: It’s great. I’m responsible for clinical, health affairs and medical affairs. We decide what clinical trials we need to do, what evidence we need to gather and how we disseminate that evidence. There are a lot of young people here right out of school with multiple degrees and it’s an exciting and fun environment to be in. I don’t know what Kool-Aid they gave me, but I’m really happy here. Q: What will change for people with diabetes five years from now based on the technologies you’re working on? FK: Pumps will stop delivering insulin if your blood sugar is falling too low. We’ve begun this with our low glucose suspend Veo pump. You will set a threshold with your health care provider and at that point the pump will stop delivering insulin. If your sugar level is going too low and you are sleeping or cognitively impaired, the pump will automatically stop delivering insulin. The Veo is out in Europe and more studies are being done before we can release it in the U.S. I think in the next few years we might have a night closed loop. When you’re sleeping is obviously the most dangerous delivery time for insulin. We’re also looking at automatic bolusing. This wouldn’t replace a patient determining his mealtime dose, but if your blood sugar is above an established threshold, it would be an added tweak when you need it. I really feel like in my 32-year career I’m at the top of a mountain of innovation. Yet as a health care provider I still have to help my patients figure out how many carbs something is or should they take less insulin when they’re going to exercise. People will always have to manage their diabetes, but the hope is by automating more functions they can do so with a lot less time and effort and less risk of hypoglycemia and hyperglycemia. Q: So even with having the Mercedes Benz of equipment the bulk of the work is still on the patient’s shoulders? FK: For now, but when we do close this loop a lot of this will be automatic. Q: In 2007 you spent six months visiting diabetes clinics around the world which became the Discovery Health documentary, “Diabetes: A Global Epidemic.” What made you to do that? FK: Who wouldn’t want to do that? Most of my husband and my travels have been to go do something. I don’t know how to relax, and telling me to go to a beach in Fiji, you might as well put a gun to my head. When you can go and work or have the opportunity to meet people somewhere else and learn from them and maybe impart something to them that you know, what greater privilege in the world could somebody ask for? Q: What did you take away from that trip that impacts you or your work today? FK: The capacity that one or another places have found. Finland has designed and built walking and bicycle paths in Helsinki to keep their citizens healthy. In a remote clinic in Brazil they have a dance club for people with diabetes, linked to diabetes support and education. Probably the most remarkable experience was visiting the chronic care center in South Africa. Here are children who were removed from their home and living in what serves partially as an orphanage because it’s the only way to keep them healthy. There was one boy there who speaks in the film who broke my heart, but also was so wise. He said he knew he had to be there and he’s hoping one day that he won’t. I still see the resolve people have and the ability to find strength in extreme places and in remarkable ways. People created something that works in their part of the world, from getting equipment to the way the children worked together in the orphanage. Q: You’re a renowned pediatric endocrinologist, past President of the American Diabetes Association, recipient of the American Association of Diabetes Educators’ Living Legend Award, advocate, author, inventor of Extend Snacks, chaired Boards, have an enviable marriage, have taken children into your home and host a quarterly salon to discuss social problems. Where does this drive come from? FK: My father was very driven and accepted nothing less than your best and nothing less than something that also helped somebody beyond you. I think you’ve also got to pick the right person to go through life with. My husband and I met when we were just teenagers and he gives me strength every day, as does my family. Q: I’m eternally grateful to you for having invented Extend Bars. How did you develop them? FK: It’s really easy as a health care provider to tell people you’ve got to push your dose or correct all these abnormal blood sugars and then get calls in the middle of the night because a child is having a hypo (low blood sugar). We need to get blood sugar levels down but there’s a dragon on the other side, low blood sugar. I thought maybe I could do something about that. In treating kids with severe hypoglycemia syndromes, kids were hooked up to glucose infusion all night long. Then uncooked corn starch came along and they just needed to take four to six doses a day and they were fine. It seemed to me there must be some formula to make this available to people with diabetes, so we started messing around with the formula. Q: Are there any dreams you haven’t yet accomplished? FK: There are so many. To see the end of health disparity. To see a world safe for children. Obviously to see the end of diabetes. Then I still go to bed every night hoping I’ll wake up a better person.